The Mudhol Hound has multiple names and it is called so in the Karantaka region and gets its name from the small town in Bagalkot district of the state. It is believed that the former ruler of Mudhol presented two puppies to King George V.
The Mudhol Hound is one of the most versatile breed when it comes to naming the breed. You would not have come across any another breed with so many different names. 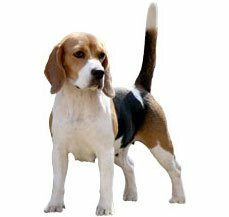 This pure bred Indian breed is a type of sight hound. 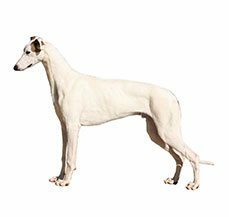 As the other hounds that were bred in India, the Mudhol Hound also has a striking resemblance with the Greyhound. This breed thrives on human companionship and is tolerant of other dogs. The only thing that has to be kept in mind with a Mudhol is that he or she might snap at you if you are not known to it and want to touch him. Mudhols are fiercely loyal to their owners and can even attack strangers if they feel that the owner is in danger. The Mudhol hound is one of the most healthy dogs to have around and do not have any particular health issues attached to it. Their lineage and breeding has made sure that they can combat the Indian weather conditions. Their loyalty towards the family makes them good guard and watch dogs but there fragile temperament will not see make them a good therapy dog. 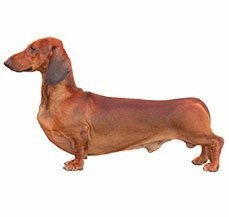 If you have your heart set on this majestic breed then we will try and help you know the nuances to this lesser known breed and if you are already a proud owner then we will try to help you expect the unexpected. The Mudhol Hound is a very ancient breed that was predominant in the Deccan Plateau region. It is believed that this majestic breed is the descended of the Saluki and Tazi that were brought to India by the Pathans, Afghans, Arabs and Persians India through the Kyber Pass. They were mostly with the nomads and followed them in caravans from one place to the other . One of the most unique aspects about Mudhol Hound is the various names by which this breed is known across the country. We have not come across any other dog that has such a vast and varied nomenclature. This sight hound is called Mudhol in the south, it was called Caravan hound by the British as they accompanied people in caravans and Karwaani by the local villagers who owned the dog. The other thing that makes the sight hound different is their amazing sight that helps them to chase away rabbits and other small animals. All this is because of the position of their eyes. These hounds have a long elongated skull with a tapering muzzle. This helps to have a 270 degree field of vision. This is almost twice of what you and I can see. It would not be wrong to say that this hound can see behind its head also. This majestic Indian breed does not have many contenders when it comes to featuring them in movies or being pets with celebrity. As soon as we find any we will update the section. Stay Tuned for that in this space. Mudhol Hounds are a breeze to manage when it comes to their grooming, these are zero hassle dogs. You can brush them once or twice a week. They love being massaged so they will never complain if you brush them with a soft brush or a hound mitt. In addition to this you will need to follow the regular grooming regime with your pet that is brushing the teeth of your Mudhol Hound, this should be done at least once on a weekly basis as this will help to remove all tartar buildup and ensure a fresh breath at all times. This will also prevent various gum diseases in your pet. The Mudhol Hound is one of the healthiest breeds around and is not prone to any specific ailment. Their long lineage and the ability to face the harsh Indian weather has made them not only versatile but have also helped them to successfully avoid ailments as well. The most common disease in the Mudhol Hound is isssues related to the skin, they do not have fat layer in the body, which makes them vulnerable to rain and cold as their can develop chilly bites easily. In addition in harsh sun can give them a sunburn so a sunscreen will not be a bad option. The other problem that can be seen in a Mudhol is of marasmus, in this the liver malfunctions and the food is not absorbed in the body. In such a case your pet might eat a lot but or she will not gain weight in fact on the contrary it might just look malnourished. Mudhol Hounds are good family companions and develop a special bond with one person in the family. These Hounds may not be the right breed for younger children but they bond well with the older children and are warm and affectionate towards them. Your Mudhol might do well with other dogs but will not be tolerant towards smaller pets because of their high prey drive. This breed has an abundance of energy and will need regular exercise to ensure agility and give its mind the required stimulation. So, they are not the perfect breed to keep in an apartment. They are intelligent and devoted dogs. Though they can be a little reserved at times but do not take this as a sign of being unfriendly they are just shy to begin with. If you are stranger in the house and try to touch this dog he or she might get irked and snap. They need socialization with a lot of people and sound on regular basis. You have to keep in mind that they will not respond well to harsh treatment and you always have to deal with kindness and respect as he or she might turn aggressive if it is not catered to well. Mudhol Hound can adapt to any kind of living environment, whether an apartment or a house. Though, you have to remember one thing when you keep them in apartments; it is necessary to give them exercise on a regular basis. Their preferred living condition includes a large yard with fences to allow them a free run. The best thing about the breed is that it was bred in India so it adaptable to all weather conditions. Along with this you have to remember that they will not be happy to just sit at home and will require regular and long exercise, whether on leash or without leash. The only thing to remember is that they have to be treated with kindness and respect and they can in turn be extremely loyal pets. 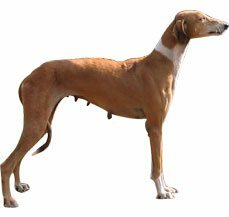 The Mudhol Hound will need consistent training, they need a firm trainer and remember that this breed has a nervous temperament inherently and will not respond well to harsh treatment. In fact if this nervous temperament if not curbed can escalate when they grow a little older. The Mudhol Hound has to be trained to socialize with other animals especially smaller animals as they were developed to chase and he or she might either scare them away or just thing that they are prey. The Mudhol Hound has well-defined characteristics. The head is long and narrow, broad between the ears with a tapering muzzle. The jaws are long and powerful. The nose is large and may be black, liver, or flesh coloured also. The ears are medium sized, very slightly rounded at the tips and hang close to the skull. The eyes are large and oval in shape, and may be dark or light in colour. They always have a piercing gaze. The neck is long, clean, and muscular, and fits well into the shoulders. The forelegs are long, straight and well-boned. The back is long, broad and well-muscled. The loins are wide and deep. The chest is strong and deep with well sprung ribs. The abdomen is tucked in. The hind quarters appear wide and well-muscled. The tail is strong at the base, not too long, set low and carried in a natural curve.